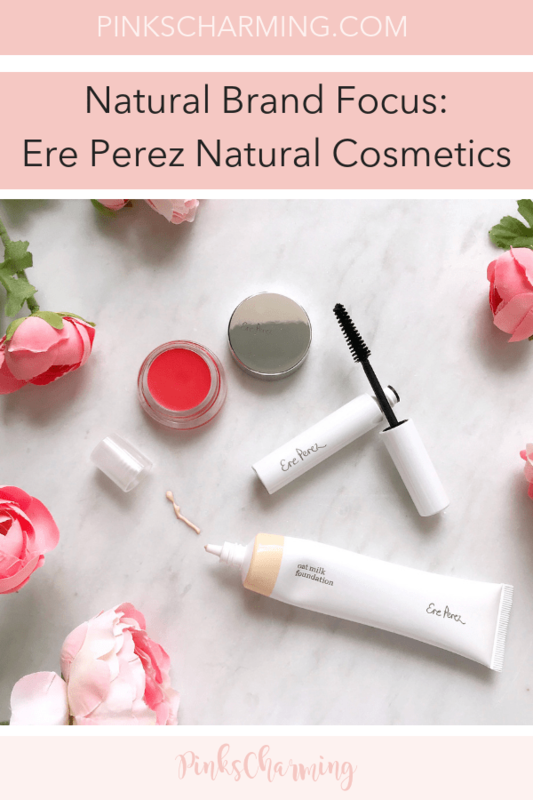 Ere Perez Natural Cosmetics is a well-loved brand in the natural beauty community, but I’m only just getting around to actually trying some of their products. 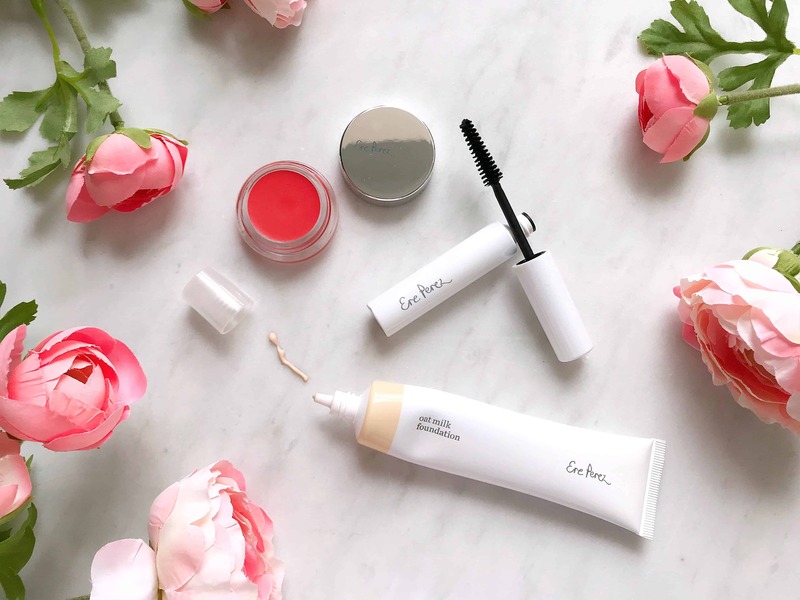 I’ve been sent Ere Perez Natural Cosmetics Oat Milk Foundation, Carrot Colour Pot and Avocado Waterproof Mascara to test, as part of my role as a Love Lula Accredited Blogger. 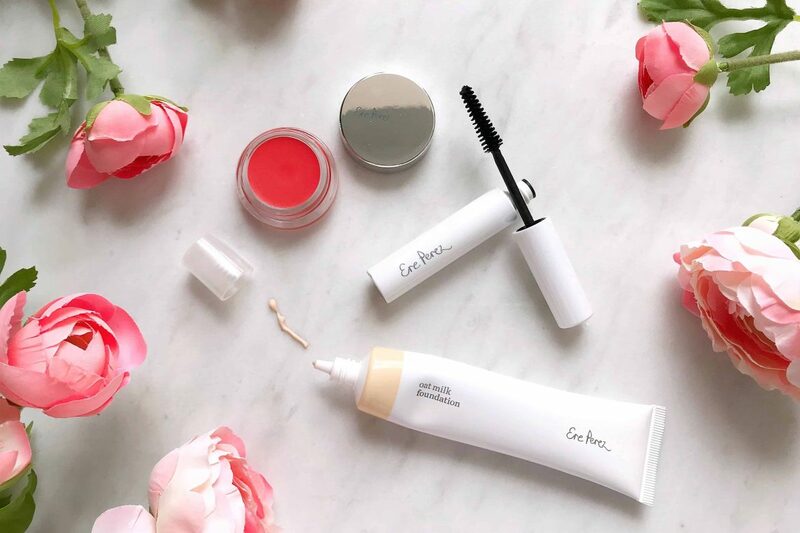 Read on to find out if these premium natural beauty products live up to their reputation! So that’s the good stuff, but how do they perform? Let’s find out. 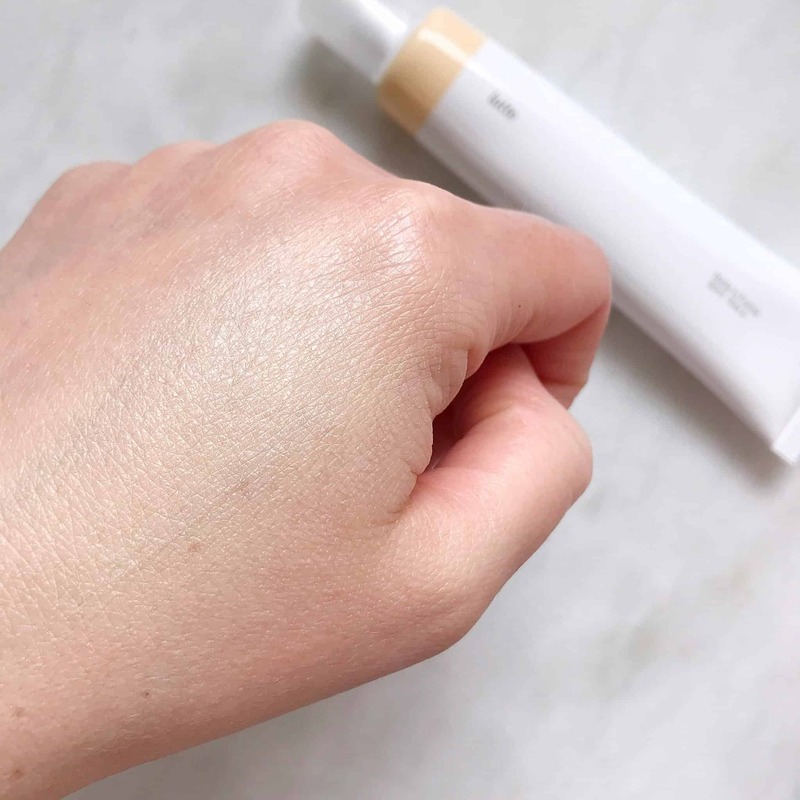 I’ll start with the Ere Perez Oat Milk Foundation*, which I have in Latte, the palest of the six shades available for £29 from Love Lula. 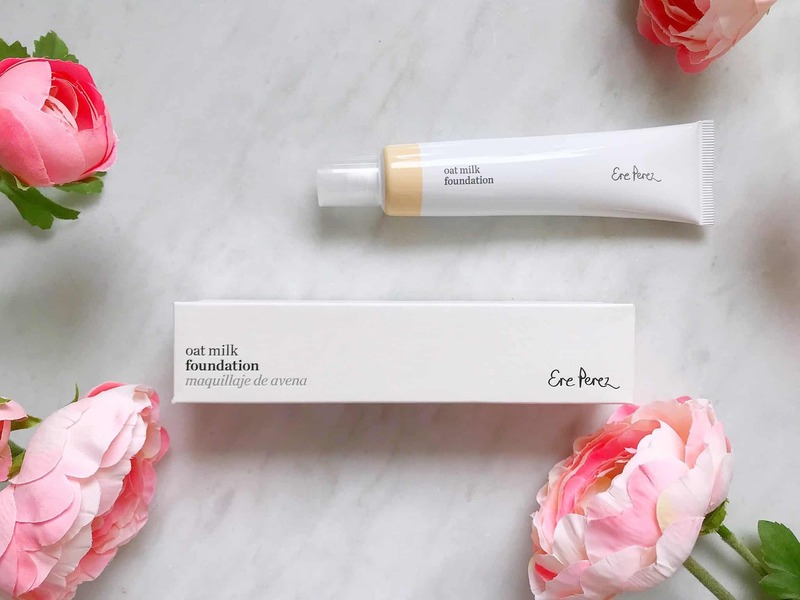 Ere Perez describe it as a “gorgeous creamy foundation with natural oat milk. Hydrating, non-greasy, breathable and long-lasting for a flawless fresh finish. Medium to full coverage.” It comes in a recyclable cardboard carton. Now, I have to say I’m on the fence about this foundation. The first few times I used it, I didn’t like it at all. It is very thick, and a little greasy. It’s also quite hard to blend, and seemed to stick to any dry patches of skin. As my skin is combination, I was surprised – I am not sure it would be great for dry skin. I didn’t use it for ages and then thought I’d give it another go. I’m glad I did, as it is grown on me. I think the key is to make sure skin is thoroughly exfoliated, and moisturised before using it. 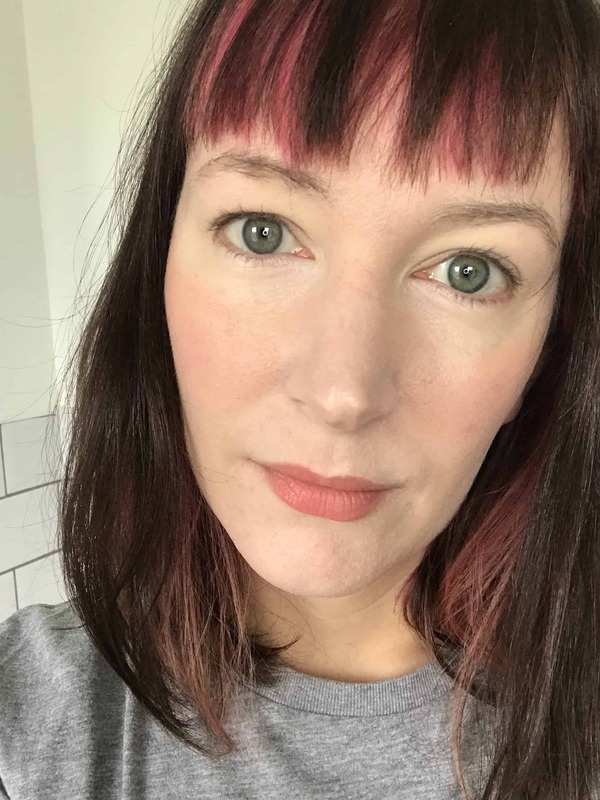 If you want to know my favourite natural, microbead-free facial scrub, take a peek at this post. As you can see here on my hand, it does cover pretty well and the colour is really great for me. Scroll to the bottom to see how it looks on my face, with the other Ere Perez Natural Cosmetics products. I get quite a lot of oil breakthrough as the day goes on, even if I use translucent powder over it. For this reason, I wouldn’t buy this foundation again, but am happy to use it now that I have it. It has a bristle brush, which I like, and the simple white packaging is chic and subtle. It comes in a cardboard carton, which is easy to recycle. So, how does it perform? Not that wall, sadly, in my experience. It looks nice at the start of the day, and does give good definition and volume, although nothing spectacular. Unfortunately, within a couple of hours, I find it smudges beneath my eyes, and left unchecked, it only gets worse. At the end of the day, lots of smudges. I’ve tried to use extra powder around my eyes to see if this helps, but to no avail. It even prints below by eyebrows, where the lashes touch the skin. The final photo also shows how the foundation wears after a day – quite shiny. Strangely, even though it doesn’t stay on the lashes all that well, it’s really difficult to remove. I use a cleansing balm, and then micellar water, and still have residue after my shower the next morning. 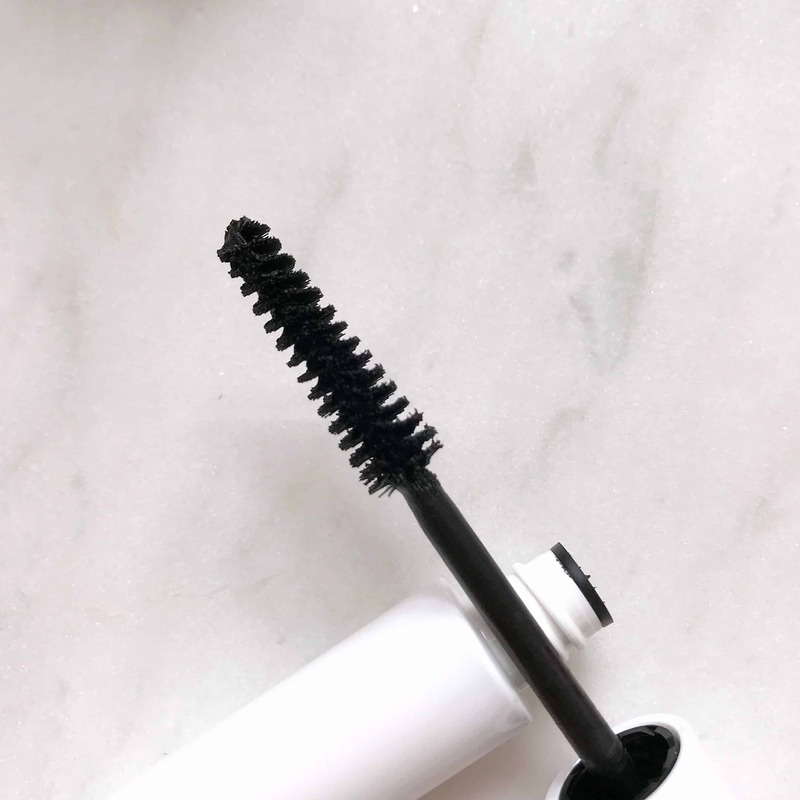 So I can’t recommend this mascara, and suggest reading my reviews of Inika Long Lash Mascara and PHB Ethical Beauty All in One Mascara as these are much better. I chose the shade ‘Hello’ which is a bright poppy red colour. 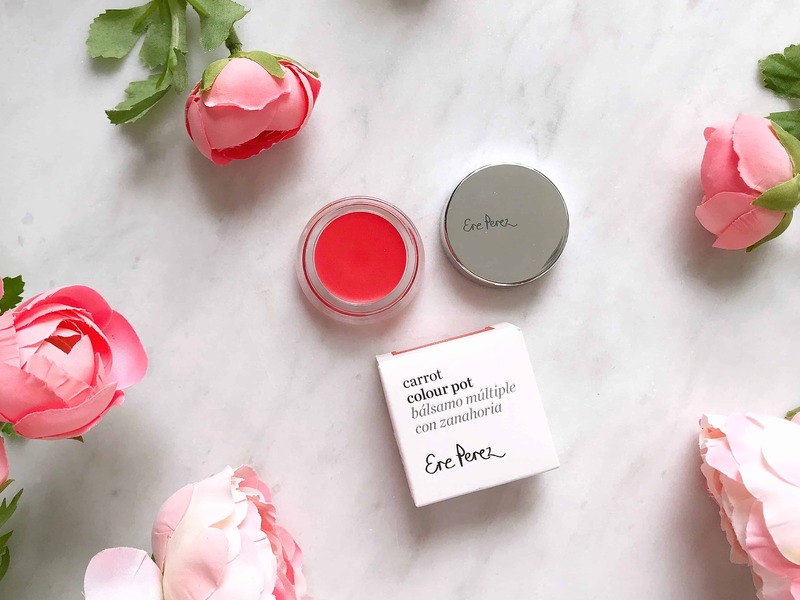 You can buy Carrot Colour Pot for £21 from Love Lula* and I can tell you that it will last a long time, as a little goes a long way. This balm comes in a glass pot in a cardboard carton. It is so strongly pigmented, and so easy to apply and blend. It is available in five colours, including pinks and dark red*. 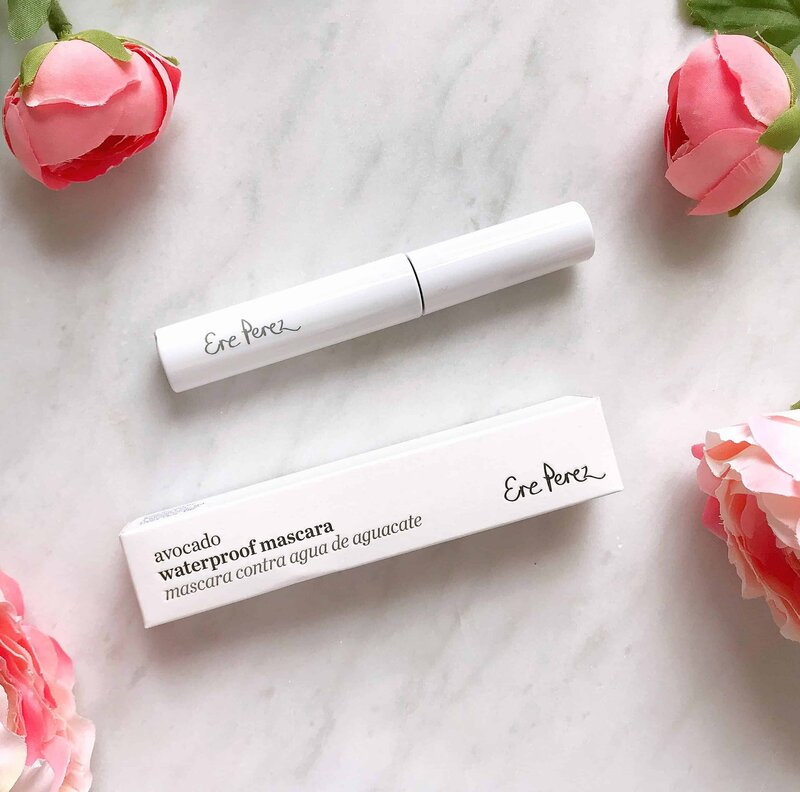 It’s comfortable to wear and feels moisturising on my lips, and lasts well. Just dab on a small amount with a fingertip or brush, and blend over cheeks. You an use your finger to apply it to your lips, or use a lip brush for a more polished finish. Scroll down to see how it looks on my lips and cheeks. I took it on my recent trip to Nashville, as it is such a great 2-in-1 product that saves space in my make-up bag. On the left, I’m wearing the Ere Perez Natural Cosmetics Oat Milk Foundation all over, with no powder on tip. 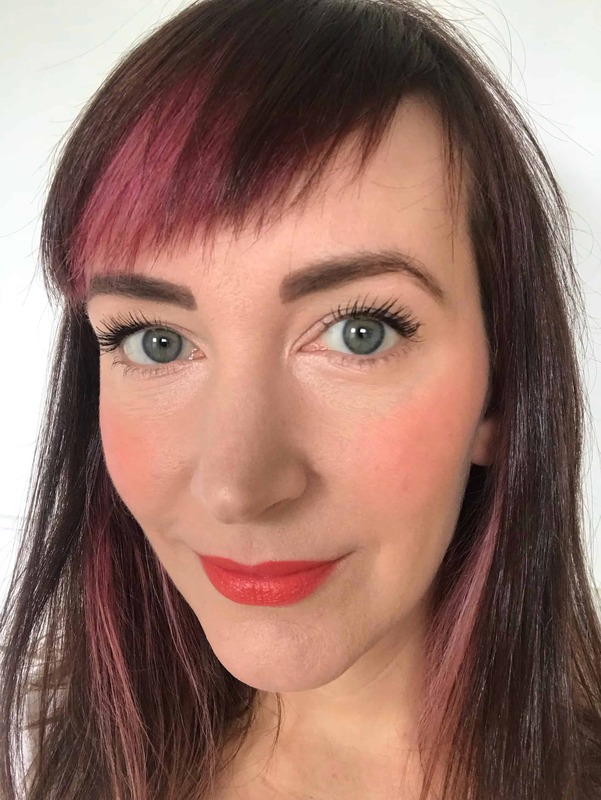 I’m also wearing a small amount of Carrot Colour Pot on my lips and cheeks and you can see it looks very natural. 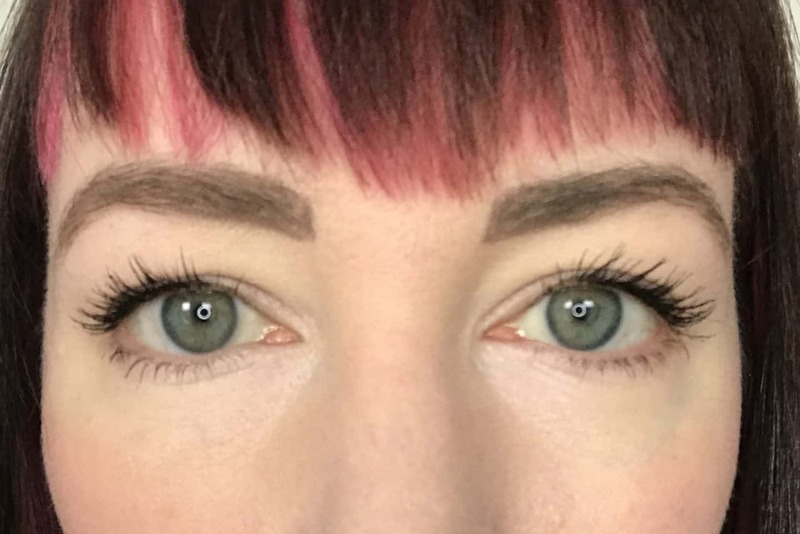 On the right, I’ve added a dusting of translucent pressed powder, and two coats of Avocado Waterproof Mascara. 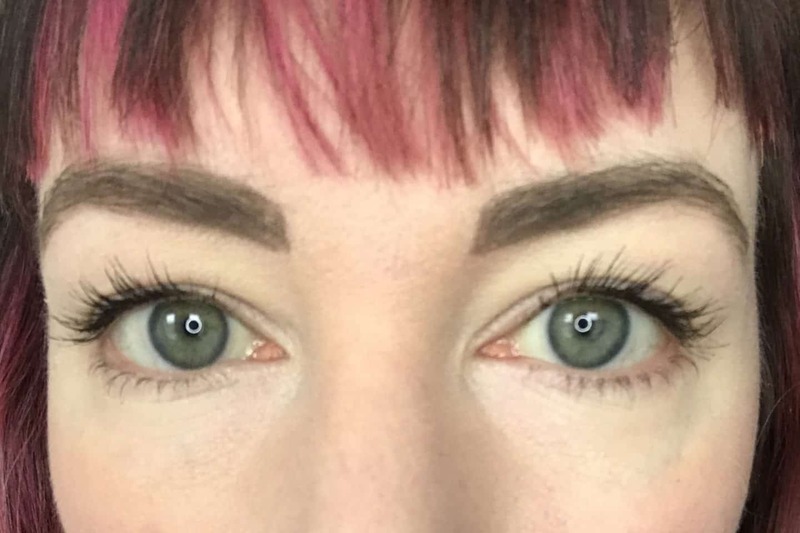 I’ve also filled in my eyebrows using the technique you’ll find in this post. The foundation covers well and gives a natural look. 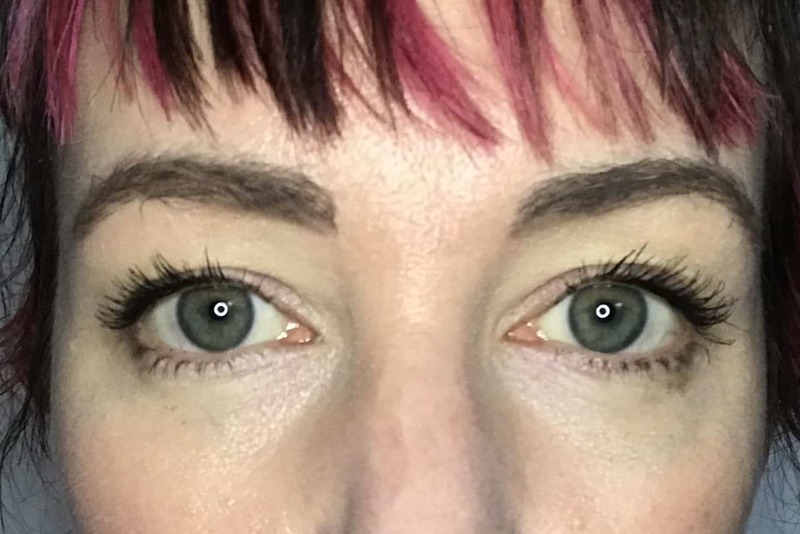 I added extra layers beneath my eyes, around my nose, and over blemishes. However I do get quite a lot of oil breakthrough as the day goes on. As I mentioned before, my skin is combination, so if you have oily skin, I don’t think this is the foundation for you. It’s also not ideal for dry skin, as it does cling to any rough or flaky patches. This picture shows how the Carrot Colour Pot looks when more is added. I used fingertips to dot onto cheeks and blended it out. I used a lip brush to apply it on my lips. As you can see it’s much brighter than the pictures above, where I just used a small amount. So to sum up, I wouldn’t recommend Ere Perez Natural Cosmetics Mascara at all. 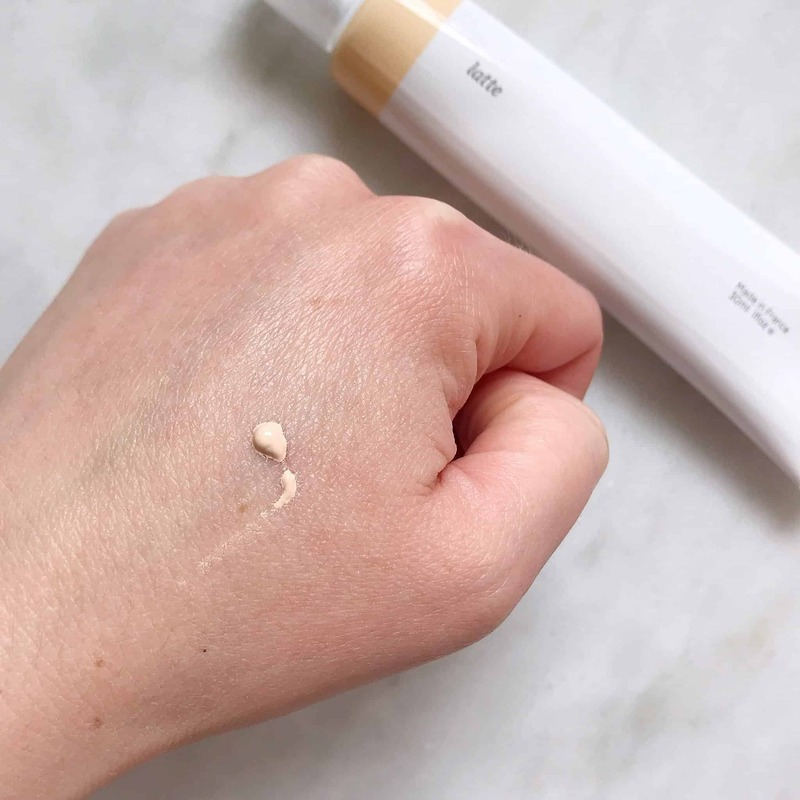 I think Ere Perez Natural Cosmetics Oat Milk Foundation is good for normal to combination skin, but don’t think it would be good for very dry, or oily skin. But I would highly recommend the Ere Perez Natural Cosmetics Carrot Colour Pot for all skin types. 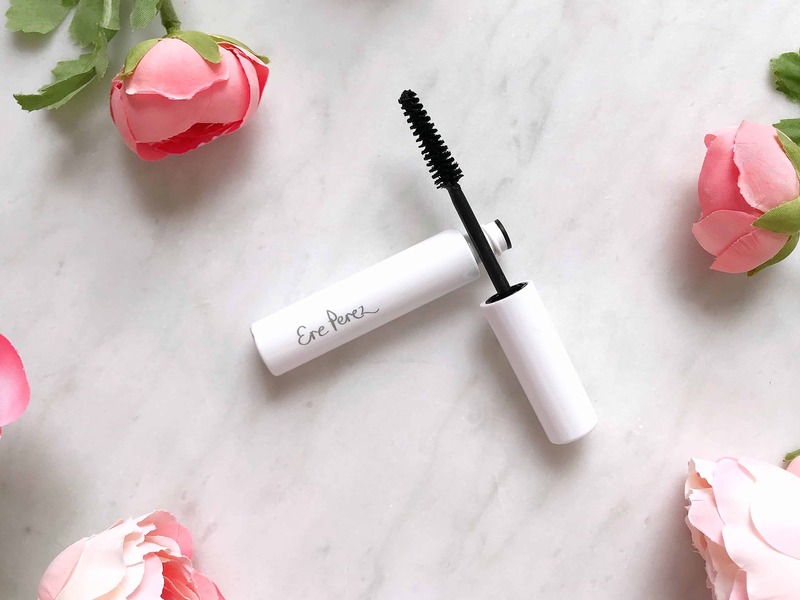 I hope you found this Ere Perez Natural Cosmetics review useful, why not Pin it for later? 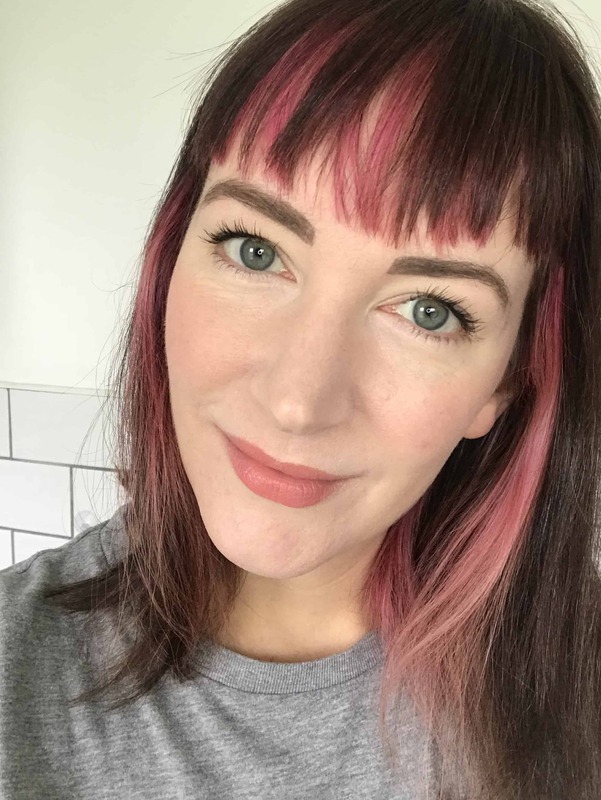 I haven’t tried the oat milk foundation so can’t comment, but I completely agree with Becky on the mascara and carrot pot. I found the mascara very disappointing. Dry and difficult to apply and not particularly waterproof. I gave up after the first few tries so now it’s languishing at the bottom of my makeup bag. I love the carrot pot, in fact I prefer to the rms equivalent, and that is praise indeed! It is easy to apply with finger or brush and very blendable. I also have similar colouring to Becky and also use “Hello”, which is a vibrant warm red.